Last week went by in a whirl. The whole week was filled with orientation activities, done in mixed groups of acting students, entertainment technology (backstage) students and theatre design students as well as us costume makers. One of the days we had to run around wellington on the Amazing Race. My team insisted on running and I felt bad that I was holding them up. 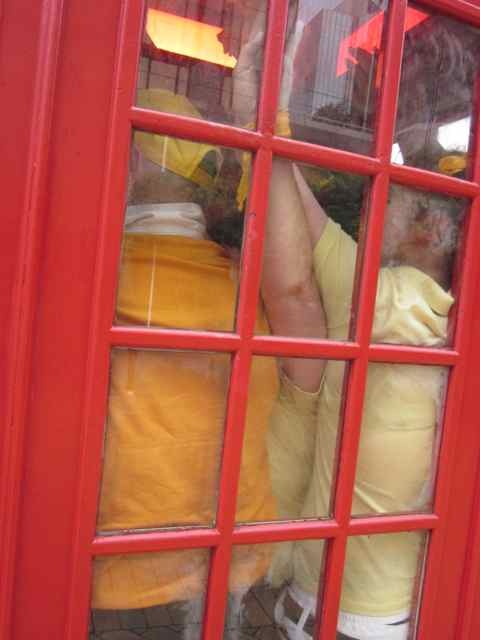 Here is a photo of the whole of yellow team stuffed into a red phone box. 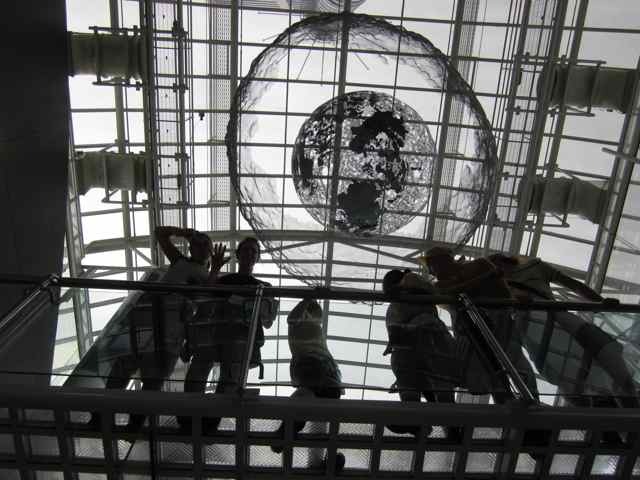 Above is our 'artsy' photo of the team silhouetted against the architecture in the tallest building in Wellington. 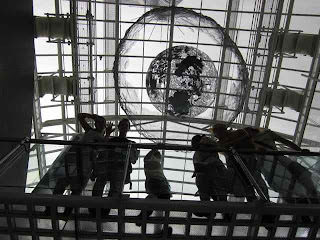 Unfortunately the week was marred by the Christchurch Earthquake. Many of the students had only just arrived in Wellington from Christchurch and were very worried about their families. Thank goodness this week is normal classes and we can stop running around or putting on group 'plays' (script by committee, aaargghh) and get on with the business of making 'double piping pockets with a flap' - this tailoring class is HARD! Here are some links to some non-quilting textile events/workshops. This is a weekend of craft classes being held in Wellington at Queens Birthday weekend.